30-minute Jet Ski Tour of Dubai. 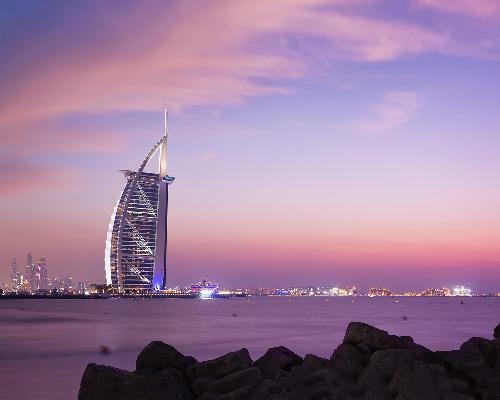 Speed on your own jet ski from our Marina to Burj Al Arab, Dubai's Sheik Island, and Dubai Yacht. Enjoy a special jet ski experience and discover Dubai from the sea. Our certified guide will lead the tour, and you will follow him on your own jet ski. He will make sure you don't miss anything from Dubai sea view and that you have a safe ride. 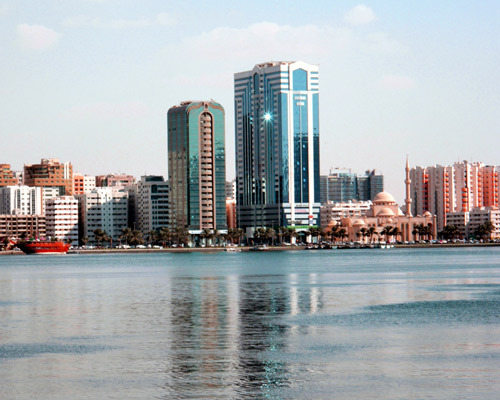 About the activity30-minute Jet Ski Tour of Dubai. 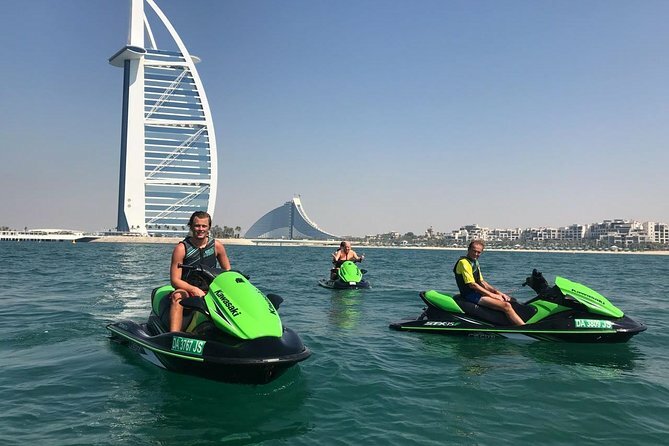 Speed on your own jet ski from our Marina to Burj Al Arab, Dubai's Sheik Island, and Dubai Yacht. Enjoy a special jet ski experience and discover Dubai from the sea. Our certified guide will lead the tour, and you will follow him on your own jet ski. He will make sure you don't miss anything from Dubai sea view and that you have a safe ride. The maximum age to participate in this activity is 65 years . The maximum number of people to participate in the activity is 10 per booking . The minimum age to participate in this activity is 16 years .